The 3 free beginner Cha Cha dance steps below will give you a great foundation to get started with this dance. Make sure to watch each video from beginning to end to get the timing, steps and technique tips. 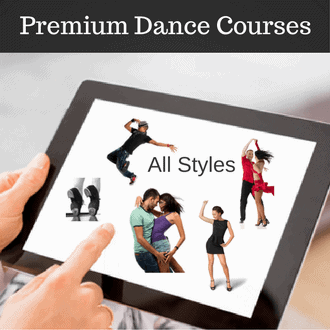 These videos are produced by Passion4dancing.com and are shared from their training program. The Cha Cha is one of the most fastest and funnest Ballroom dances with lots of sharp and flirty movements. First of all, before you can dance you need to understand how to count the Cha Cha. If you are an absolute beginner you can start counting the Cha Cha with “rock step, triple step, rock step”. Eventually you will want to count it as “1,2,3, Cha Cha” – which takes into account the 3 full beats and 2 half beats in this dance. This lesson is the first lesson you need to watch if you are just starting out. This step consists of doing the rock step, triple step, and rock step to emphasize the Cha Cha Rhythm. This is the second basic you need to learn. The side basic is actually the most used basic step. It is similar to the step you learned above, except here you will do the triple step to the side instead of in place. Enjoy. Now you are going to learn how to do the lady’s underarm turn to the right. Using the side basic you just learned, this one should be no problem for the guys. But the ladies have to master the spot turn in order to do this turn. We’ll break everything down. For those who want the very best Latin and Ballroom dance instruction, you need to check out Passion4dancing.com where you can get access to over 100+ video lessons. Each of the video breaks down the footwork, timing and provides extra tips. Once you become a member you will get unlimited access to everything.